LVMS has renamed its infield media center the ThriveHive Digital Center. 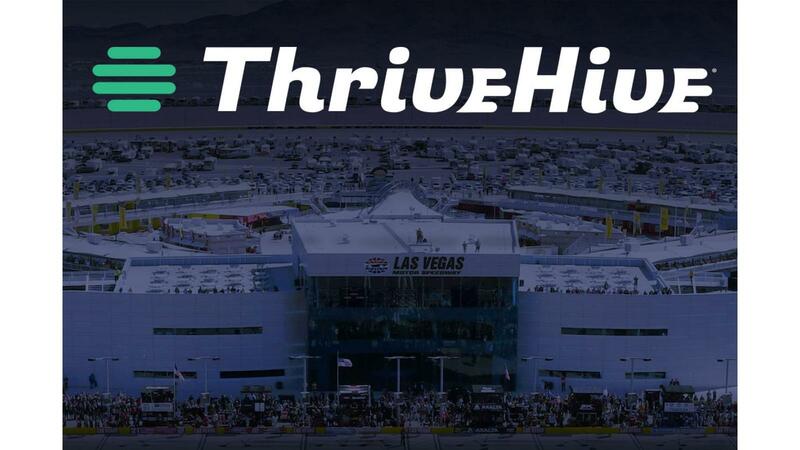 ThriveHive, the guided marketing solutions company, has become the Official Digital Partner of Las Vegas Motor Speedway. The partnership includes the renaming of the speedway media center as the ThriveHive Digital Center. Built in 2007, the 60,000-square-foot media facility is one of the most impressive media centers in all of professional sports. Equipped with meeting rooms, hospitality options, production and office areas, a dining room and outdoor terraces with open views of the speedway, the ThriveHive Digital Center is the nerve center of LVMS's race-week operations and houses hundreds of credentialed media during its national NASCAR events. Founded in November 2011, ThriveHive has quickly become a leader in the guided marketing world, helping thousands of businesses maximize their marketing potential, expand their reach and enjoy new levels of success. With more than 300 employees and offices in Quincy, Mass., Boston, Las Vegas, Denver and Manchester, N.H., ThriveHive has run more than 150,000 marketing campaigns and built more than 7,000 websites for companies of all types and sizes. "ThriveHive is a proven leader in the digital marketing industry, and we're honored to rename our media center as the ThriveHive Digital Center," LVMS President Chris Powell said. "With partners like ThriveHive, we can continue to be innovative in the ways we reach our fans and promote the many noteworthy events and programs we stage here at LVMS. We're excited about this partnership and have big plans for future growth with the help of ThriveHive." ThriveHive routinely has been feted for its high level of excellence, being named one of the Top 20 Most Promising Digital Marketing Solutions Providers by CIO Review in 2015 and earning Google AdWords Premier SMB Partner status in 2016. In addition, ThriveHive won the Best Digital Agency Award from the Local Media Association in 2017. The company's mission is, "to guide businesses to achieve extraordinary local marketing results using the right blend of software, data and people," and helps people working in local business do what they love by combining actual human guidance with easy-to-use technology to make marketing their business easy, effective and affordable. 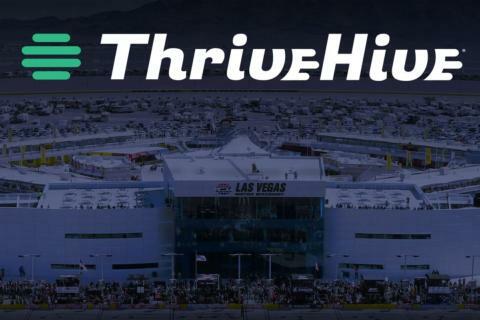 "ThriveHive's relationship with Las Vegas Motor Speedway is extremely valuable, and the opportunity to have our brand on its media center was an amazing opportunity," ThriveHive CEO Peter Cannone said. "We could not be more excited for the future." ThriveHive acquired an award-winning guided marketing platform in 2016 and acquired Closely, the Denver-based technology company known best for its award-winning mobile app, Perch, and integrated it into its digital solutions portfolio. The company uses its guided marketing platform and digital marketing services to help businesses eliminate the guesswork, maximize their time and focus on what's really important - running their business. Customers with ThriveHive for 12 months receive 77 percent more leads per month than customers with the company for one month, and the number of leads a ThriveHive customer gets increases five to seven percent each month they are with the provider, according to its website, ThriveHive.com. From guided marketing, display advertising, social media marketing, search engine marketing to e-mail marketing, website design, local list building, logo creation and video solutions, ThriveHive offers an array of services and products to its clients. The ThriveHive Digital Center will be a big part of the speedway's first NASCAR tripleheader weekend of the year March 1-3. The Strat 200 NASCAR Gander Outdoors Truck Series race and Strat qualifying take place on Friday, March 1, with Saturday's racing action highlighted by the Boyd Gaming 300 NASCAR Xfinity Series race and the Pennzoil 400 presented by Jiffy Lube anchoring five consecutive days of racing at the 1,000-acre facility with a 12:30 p.m. start on Sunday. Various ticket packages, fun extras and special-access passes for LVMS's NASCAR weekends are available at www.lvms.com or by calling 1-800-644-4444.